In a major blow to the dynamic home shopping industry in India, Star Network has sold it’s stake in their venture: Star CJ Network and has quit the industry. Providence Equity Partners has bought Star Network’s stake for an undisclosed amount. Founded in the year 2009, Star CJ Home Shopping Network was a 50 : 50 joint venture between Star Network and South Korea’s CJ O Shopping, which is incidentally world’s second largest home shopping network. Star CJ network will continue to use Star Network’s brand name for a year, but Star will be out of the business. Providence India will now work with CJ O Network to carry on the operations. How Big Is CJ Group? CJ Group is a South Korean conglomerate holding company having interests in several key industries such as Food & Food Service, Home Shopping & logistics, Entertainment & Media, Biotechnology & Pharmaceutics, Infrastructure etc. They were initially part of the Samsung Group, but separated in the 1990s. 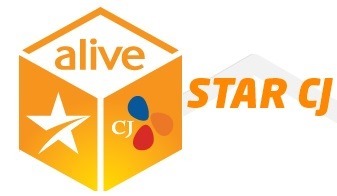 Some of the popular companies which Star CJ operate includes: CJ Cheil Jedang(the largest food firm in Korea), CJ Entertainment (the country’s largest film distributor and investor), CJ E&M Media (broadcasting), and CJ CGV (the largest multiplex theater chain in Korea). Star CJ joint venture operated two businesses: home shopping network Star CJ and an ecommerce portal: StarCJ.com. Interestingly, Star has decided not to sell their stake in the ecommerce portal and they will continue to operate it. StarCJ.com has witnessed impressive growth since last 4 years as they have added 50 lakh Indian shoppers into their network. Who Are Providence Equity Partners? Providence Equity Partners is an American private equity firm which manages $40 billion worth of funds, invested in diversified portfolios such as media, education and information companies. Since it’s inception in 1989, they have invested in more than 139 companies globally. Within home shopping domain, they have invested in HSE24, Germany’s one of the biggest home shopping networks. As per the reports, Star CJ Home Shopping Network currently reaches 50 million or 5 crore Indian households. Home Shopping in India has become a huge industry right now, as it is responsible for sales of $200 million worth of goods last year. The industry is growing at a compound rate of 20% since last 3 years and expected to cross 30% by 2014. Combined with ecommerce and home based shopping TV channels, this “alternate retail” industry is worth $2.2 billion right now. Over 50% of those who shop via these home shopping TV channels are coming from metro cities, meanwhile over 60% of revenues are generated from orders coming in from Tier2 and Tier3 cities. Convenience and Reach, along with competitive pricing are the factors which is driving it’s exponential growth in India. Under such favorable circumstances, it is really interesting to observe Star Network quitting this lucrative business. At a time when another home shopping network: Home Shop 18 is planning to raise $15 million from New York Stock Exchange listing, this decision by Star Network doesn’t seem a smart move. Some insiders are claiming that Star aims to launch it’s own home shopping TV channel in near future, and this prompted them to quit this partnership.